Kate specialises in construction and engineering in both contentious and non-contentious matters. She acts for utilities, developers, main contractors, sub-contractors and home-owners in connection with a wide range of such matters including non-payment, performance, delay, liquidated damages, breach of contract, misrepresentation and termination. Her extensive experience in managing the resolution of construction disputes by way of adjudication, arbitration, mediation and negotiation renders her well-equipped to draft and negotiate contract documents which minimise potential risk and liability for her clients. Kate works closely with her clients to understand their wider commercial objectives in order to develop effective strategy and provide practical and cost-effective solutions to the issues faced. 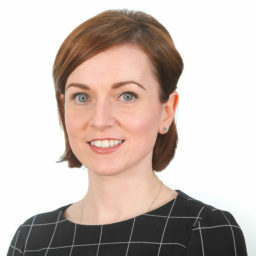 Kate also provides training on the operation of bespoke and standard form building contracts and has lectured on legislation and case law pertinent to the construction and engineering industry. After gaining a 2:1 LLB (Hons) degree in Law from the University of Sheffield and a distinction in the Legal Practice Course at the University of Law, Manchester, Kate obtained a distinction in her Master’s degree in Construction Law and Dispute Resolution from Leeds Beckett University and was awarded the Keating Chambers’ Prize for achieving the highest grade on the course. Kate is a member of the Chartered Institute of Arbitrators. Publications: In the context of mediation, is safeguarding mediator neutrality and party autonomy more important than ensuring a fair settlement? International Journal of Law in the Built Environment (2016, volume 8/2).